Nowadays, almost any device that you buy comes with a camera, be it a smartphone, iPad, tablet or even a laptop. Despite all these new technological developments, web cameras are yet to be rendered obsolete. This is especially so in an era where most businesses conduct their operations online, and make use of videoconferencing, video chats, and live streaming to communicate between offices. However, for this to happen, you need to be in possession of a good quality webcam. 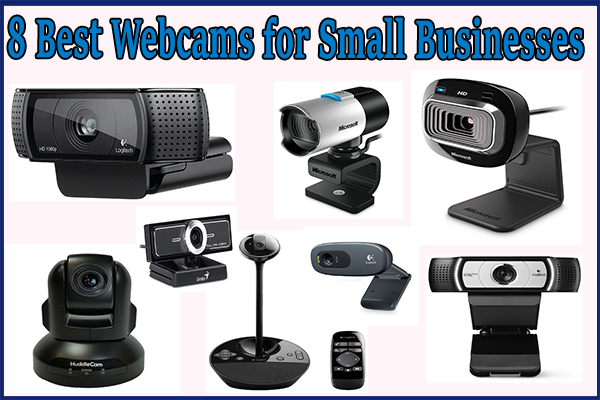 Below is a guide on how you can purchase a great web camera for your business. Before you make a decision to purchase a webcam, you should first consider all the features that it comes with. 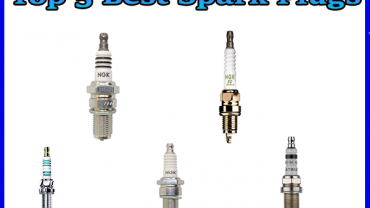 This will allow you to choose the most ideal web camera for your business, which will meet your specific requirements. Below are some of the features that you should look out for when buying a webcam. One of the main things that you should consider when buying a web camera is the frame rate. Basically, frame rate (measured in frames per second) is the number of pictures that can be taken by the web camera in a single second and then displayed on a computer screen. When purchasing a web camera, you should make sure that you get a camera with a decent frame – tat least 30 fps. The resolution, which is measured in pixels, affects the sharpness and the clarity of the image produced by your web camera on your viewing screen. A camera with a high resolution delivers a clearer and more vivid image. Therefore, you should aim for a webcam with a great resolution. A standard 480p webcam will deliver a decent image quality. However, if you are interested in capturing videos in HD quality, you should make sure that the camera is either a 720p or 1080p. Lens quality is another important feature that should be considered when purchasing a webcam. The function of a webcam lens is to capture the light on an object, which is then used by the camera’s sensors to create the image. A high quality lens will capture more light, which ensures that the images produced are of very high quality. When shopping for a webcam, you should therefore ensure that you purchase one that uses a high quality lens, preferably glass, so as to ensure that you get clear, bright and colorful images. Autofocus is a great feature that helps to track moving objects within the webcam’s frame, and then adjust the focus so that the object will always remain in focus. This is an impressive feature, which you should ensure is packed into the webcam you purchase, especially if you like moving around during your video chats. Another important feature in a webcam is the sound recording capability. To ensure that your video chats, videoconferencing, and live webcam streaming go as smoothly as possible, you should purchase a webcam that comes with a built-in microphone. Before you make the purchase, you should ensure that the microphone delivers a great sound recording, so that the viewers on the other end of the chat can hear you properly. 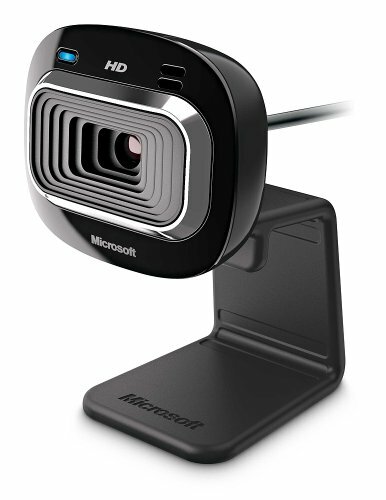 Microsoft LifeCam HD-3000 is one of the popular webcam for business owners. It is a 720p High Definition webcam that records high quality HD videos . It is also features TrueColor technology, which adjusts the light exposure to ensure that you get bright and colorful images, even in low-light conditions. One of the most functional features of the webcam is a universal attachment base, which allows you to attach the webcam to your desktop PC or laptop. 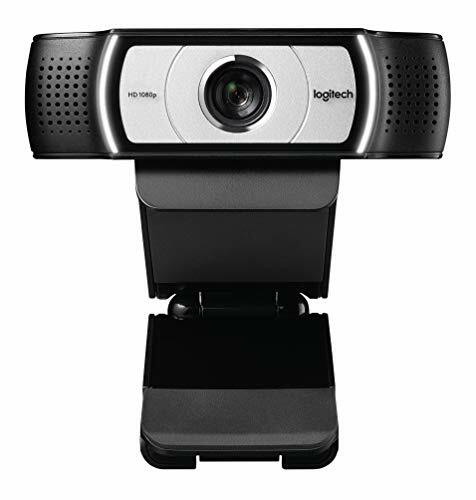 Logitech C930e is an advanced webcam that is designed to be used for business purposes. The webcam delivers an exceptional 1080p Full HD video quality at 30 frames per second. It is equipped with UVC H.264 video encoding technology, which helps to deliver smooth video streams. It is also designed to offer you a wide viewing angle, thanks to features such as 90-degree pan, tilt, and a 4 times digital zoom. Logitech HD Pro Webcam C920 is a 1080p widescreen video webcam that delivers Full HD videos at 30 frames per second. The webcam is integrated with H.264 technology, which helps to record smoother videos. It is also equipped with Automatic Light Detection, which helps to ensure you record clear and sharp videos even in dim light. The webcam also comes with a Full HD Carl Zeiss lens with a 20-step auto-focus, which helps you to capture smooth, sharp and clear images/videos. For audio purposes, it comes with 2 microphones that are strategically placed on either side of the webcam, ensuring that you record clear, high quality stereo sound. The Genius F100 is an impressive webcam that allows you to record 1080p Full HD videos, even at 30 frames per second. It allows you to choose between standard definition and high definition video recording, to help with saving space or ensure that you enjoy crisp clear images when video chatting. 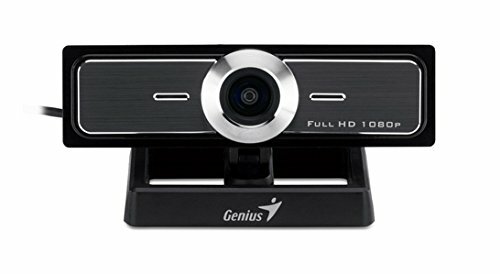 The F100 is a wide viewing angle video webcam, which comes with a 120-degree ultra-wide angle lens that helps to increase the viewing field of your webcam. The webcam also comes with a highly-sensitive microphone, which records high quality stereo sound, thus ensuring that everyone can hear you well on the other end. 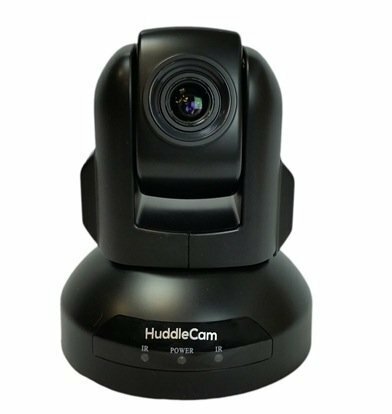 HuddleCamHD-3XG2 is a premium video calling and video recording webcam that offers Full 1080p video recording at up to 30 frames per second. It comes with a 2.1 Megapixels image sensor and a 3 times real Optical Zoom, which helps to ensure that you record high quality images that are sharp and clear. HuddleCamHD-3XG2 is designed to cater for a wide variety of videoconferencing needs, and for this it comes equipped with an 81-degree viewing field. It also features a remote control, which is used to control the pan and tilt functions. 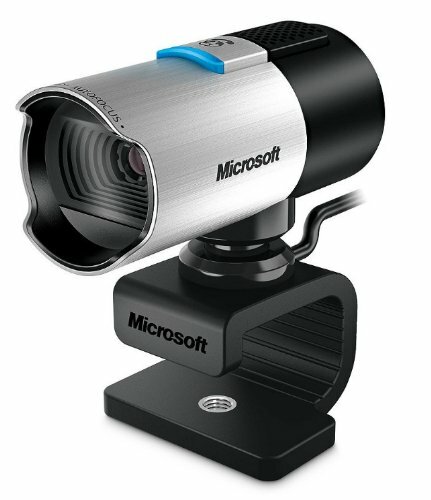 Microsoft LifeCam Q2F-00013 is a 1080p Full HD camera that is designed to offer superior video recording. The webcam features ClearFrame technology, which allows for smooth and detailed images during your video chat. It is also equipped with a full HD widescreen sensor, which helps to ensure that you capture razor-sharp images. It also makes use of TrueColor technology that allows for automatic light adjustment, thus helping to deliver sharp and clear images in all lighting conditions. 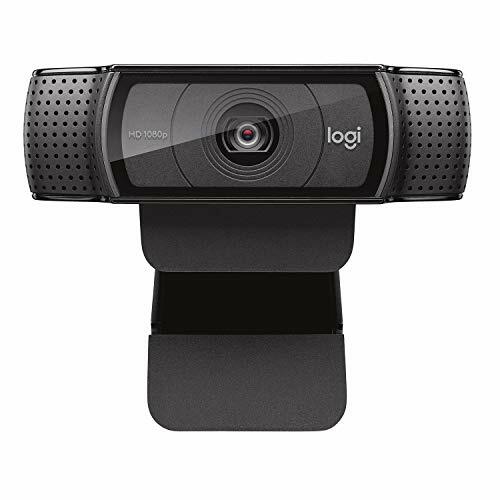 Logitech BCC950 is a premium webcam that is designed for videoconferencing purposes. The webcam delivers professional grade high-definition video recording, which ensures that your video chats are sharp and clear. It is equipped with a Carl Zeiss Optics lens with Auto-focus feature, which helps to ensure that you record razor-sharp images that capture all the details. 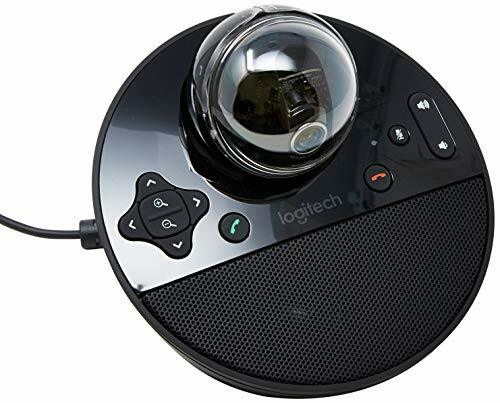 For better video conferencing experience, the webcam offers a 78-degree viewing field, and it also features a 180-degree video pan and tilt that is controlled with a remote. For sound, the Logitech BCC950 features an omnidirectional microphone that is equipped with a noise cancellation feature. 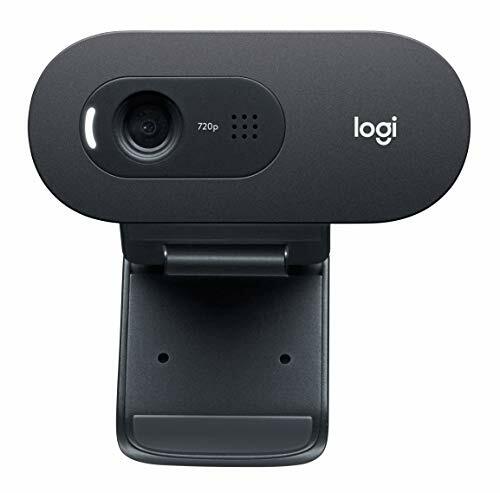 Logitech C270 is a budget friendly webcam, which is designed to basic but reliable video calling and recording services. It delivers a great 720p High Definition video recording, and also features a built-in microphone that is equipped with a noise cancellation feature. The webcam uses a 3 megapixels sensor to record images, which ensures that it delivers fluid videos during your video calling.